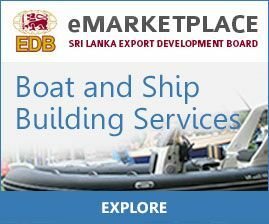 Boat & Ship building is a leading industry which is driving Sri Lanka towards greater industrialization. 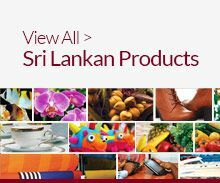 It contributes a significant share in the basket of exports and continues to grow, with a wide variety of products and services being offered to the international markets. The impetus for this industry has been received from the dynamic and burgeoning Ship repair industry which dates back to the early nineteen hundreds. The expanding tourism industry in Sri Lanka, particularly in the North and the East require pleasure and sail boats as well as boats for sea excursions for whale watching, leisure fishing, snorkeling and scuba diving. Also, the interest of the local community in boating activities will create additional market opportunities not only for the existing entrepreneurs of boating industry but also for the new comers to invest in the industry to take the full advantage of this emerging trend. There are around 20 to 25 active boat yards around the country producing various types of boats providing employment to around 2000 direct and around another 10,000 indirect. The direct employment figure could be doubled within next two years as per the trend observed within the boat market both local and international. Most of the units have an installed capacity to double the annual turnover which means only around 50% of the capacity utilization recorded during the past two years. The best known sail makers of the world “ North sails” has their factory operating in Sri Lanka. New additions to the product range are the house boats, floating restaurants and bars, pontoons and paddle boats. Most of these boat hulls are made out of FRP and other composite material. Larger vessels are built by using aluminum and steel. Sri Lanka now produces Ships and Boats that navigate global oceanic channels as well as those suited for inland waterways. 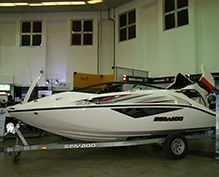 Larger Ships are generally manufactured for the Commercial Sector and is commonly built in either Steel or Aluminum and smaller Boats are turned out of Fiber-Reinforced Plastic and other composite material. Sri Lanka’s major Ship building products include, Multipurpose Platform Supply Vessels, Anchor Handling & Supply Vessels, Crew Boats, Passenger Vessels, Harbour Berthing/ Towing Tugs, Naval/ Coast Guard Vessels, Landing Crafts, Fire Fighting Vessels, Fishing Vessels to name a few. 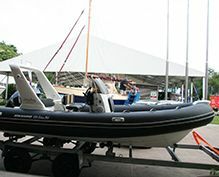 The product range manufactured by the Fiber-Reinforced Plastic Boat builders consists of Luxury Sailing and Motor Yachts, Pleasure and Leisure Craft, Fishing Boats, High Speed Patrol Boats, Military Vessels, General Purpose Vessels, Fisheries Research Vessels, Speed Cruisers, Surveillance Vessels, Sea Cadet Training Vessels, House Boats, Floating Restaurants and Bars, Pontoons and Paddle Boats. 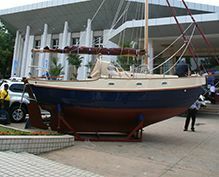 Presently, Ships and Boats manufactured and the specialised services offered by Sri Lankan Ship and Boat builders are bought by a wide range of countries including the USA, UK, Norway, Sweden, Holland, France, Iran, UAE, Yemen, Somalia, Gambia, Nigeria, Pakistan, India, Bangladesh, Maldives, Seychelles, Singapore and Mauritius. Sri Lanka has a long and a proud history of Ship and Boat building, founded on an intricate and rapidly advancing transportation and logistics network. It is now poised to become the hub for Ship and Boat manufacturing in the Asian region due to its strategic location, highly trained skilled workforce, quality of workmanship and relatively low cost labour. The industry has experienced a boom with the supporting initiatives taken by the Government of Sri Lanka, the private sector and various other sectors, such as Technical Vocational Education and Training Schemes, closer alignment of University learning curriculum to industry expectations, increasing the quality of local education etc… This has enabled Sri Lanka to gradually change from an agricultural based economy to an industrial based economy and target manufacture of highly advanced Ships and Boats meeting global standards, rules and regulations. 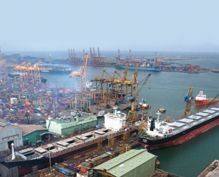 Sri Lanka has one of the best natural harbors’ in the Asian region and its commercial port in Colombo is rated among the most economical and efficient, which offers a complete service to Shippers, including a fully fledged Ship repair facility which operates in joint collaboration with a Japanese Shipyard. Sri Lanka’s Ship repair industry is capable of carrying out major repairs, retrofits and conversions where the know-how, facilities, and competencies are readily available for integrated work with a highly developed network of Suppliers and Service Providers. With the dawn of peace in Sri Lanka, the exponentially mounting tourism industry has resulted in a renewed passion towards Pleasure Crafts and inland boating activities from the local community, which has created additional market opportunities. 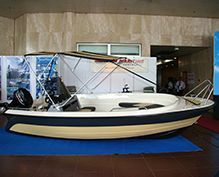 Sri Lanka organizes its own BOAT SHOW once in every two years with an objective of providing a forum for the boat building industry to display and promote their respective sectors to potential clients. Why Sri Lankan Boat & Ship Building Services?